Like most college freshmen, Mitch Carbon is excited to be getting a fresh start. But unlike his peers, just two years ago, he didn’t think he’d live to see this day. Read on for more of Mitch’s story and the clinical trial that saved his life — all made possible by YOU. When Mitch Carbon was a junior in high school, he was preparing to die. A couple years earlier, he had been diagnosed with Philadelphia chromosome-positive acute lymphoblastic leukemia, an aggressive, high-risk form of blood cancer. After countless rounds of treatment, a failed bone marrow transplant, and two relapses, his oncologist said there was nothing more she could do. Now, the 18-year-old is preparing to go to college. Mitch owes his life to a groundbreaking immunotherapy trial at the Children’s Hospital of Philadelphia — a trial made possible by the Stand Up to Cancer – St. Baldrick’s Pediatric Cancer Dream Team. 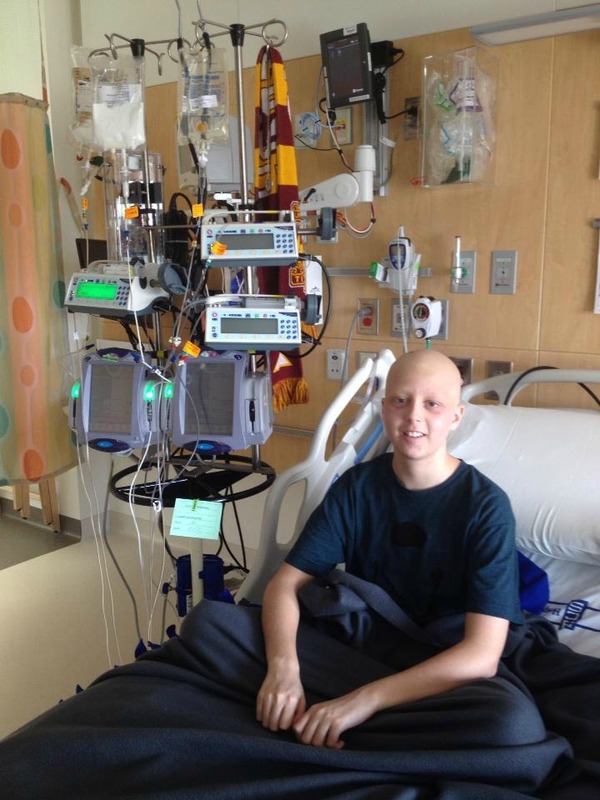 Mitch owes his life to lifesaving immunotherapy made possible by the SU2C – St. Baldrick’s Pediatric Dream Team. Back in 2011, Mitch couldn’t catch a break. He had strep throat five times, persistent ear infections, and nose bleeds. Despite how active he was, his fitness level plummeted. He started taking naps. After that, the only thing Mitch remembers is waking up in a hospital room with an oncologist at his bedside. She told him the news. Mitch had childhood cancer. Mitch smiles in his hospital during his treatment for leukemia. Though Mitch had a hard time accepting the diagnosis, he fought hard for three and a half long years. He endured a year and a half of chemotherapy, then a bone marrow transplant, then more chemotherapy, radiation, and steroids. There was nothing more his doctors could do. 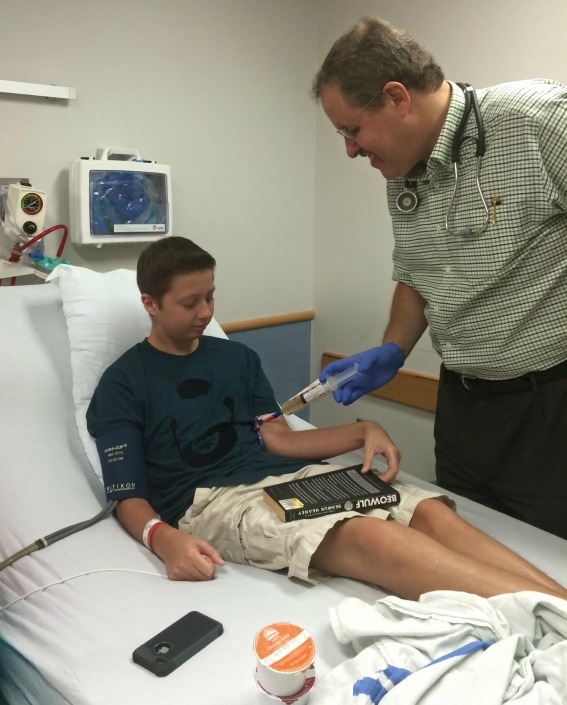 But soon after, he and his family discovered the immunotherapy trial in Philadelphia. In this trial, patients would have their T cells — the cells in the body’s immune system that kill everything from flu bugs to bacteria — extracted. These cells would then be engineered in the lab to target cancer cells, and then given back to the patient to find and attack the cancer. With that decision to go through with the T cell trial, both Mitch and the doctors were entering uncharted territory. Mitch takes a break from his studies for an infusion. That’s because while Mitch was waiting to start the trial, the cancer had spread to his brain. The doctors had never before given T cells to a patient with leukemia cells in their brain. Mitch would be the first. It wasn’t an easy road. After receiving his modified T cells, he experienced intense headaches. His body was wracked with fever and shook uncontrollably. He lost his ability to speak and slipped into a coma for five days. He had to learn to talk and walk again. His eyes were crossed because the T cells had attacked the cancerous cells lining his optic nerves. But soon, he started bouncing back. His memory and speech slowly returned. His gait returned to normal. 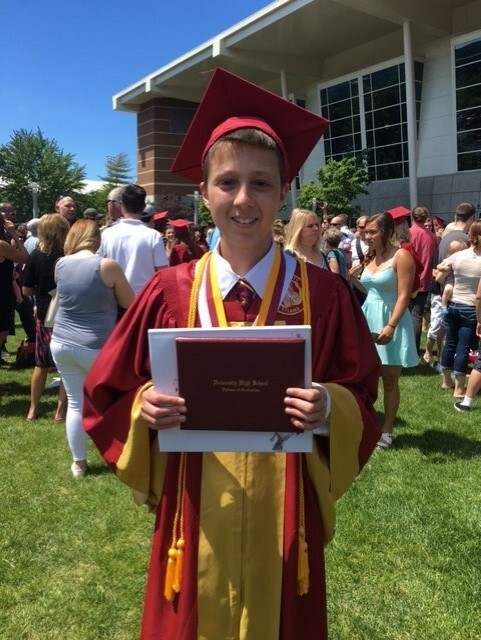 Mitch bounced back from his lifesaving treatment to graduate high school with honors. Mitch went back to high school just a month later and graduated with honors. One year later, he is cancer free, with no side effects from the immunotherapy. Now, thanks to the trial, Mitch can think about his future for the first time in five years. He’ll be exploring education and nursing at college. 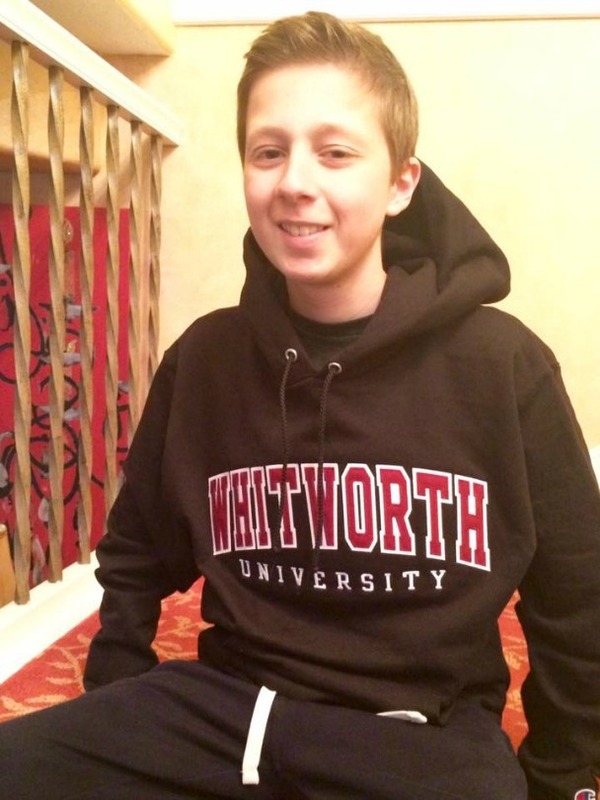 Mitch looks forward to starting college in the fall. Kids with cancer deserve a chance to grow up and live their dreams. YOU can make that happen. Help fund the best childhood cancer research in the world.